Successfully Added inWatch Smart Watch - 12 LED, Pedometer, Sleep Monitor, Bluetooth 4.0, Support iOS/Android (Blue) to your Shopping Cart. With Bluetooth syncing, health functions and call notifications the inWatch brings everything you need to you wrist helping you lead a healthy active lifestyle. The inWatch Bluetooth smart watch is has a minimalist display with 12 LED indicator lights. These combine to bring you time, call and message alerts, pedometer functions and alert you if you left your phone behind. With its 35mm face offering a cool layout and streamlined messaging approach the watch brings a long usage time from every charge of its 70mAh battery. Once synced to you phone you can see the pedometer read out and track your movements through the day. A great way to keep on track to your fitness goals. At the end of a long day you can sleep well but don't remove the watch as its sleep monitor will also track the quality of your nights rest. Distractions wont be able to divert your attention from important calls as the message and call notification will light up and vibrate on your wrist if you have a call to take or message that should be responded to. 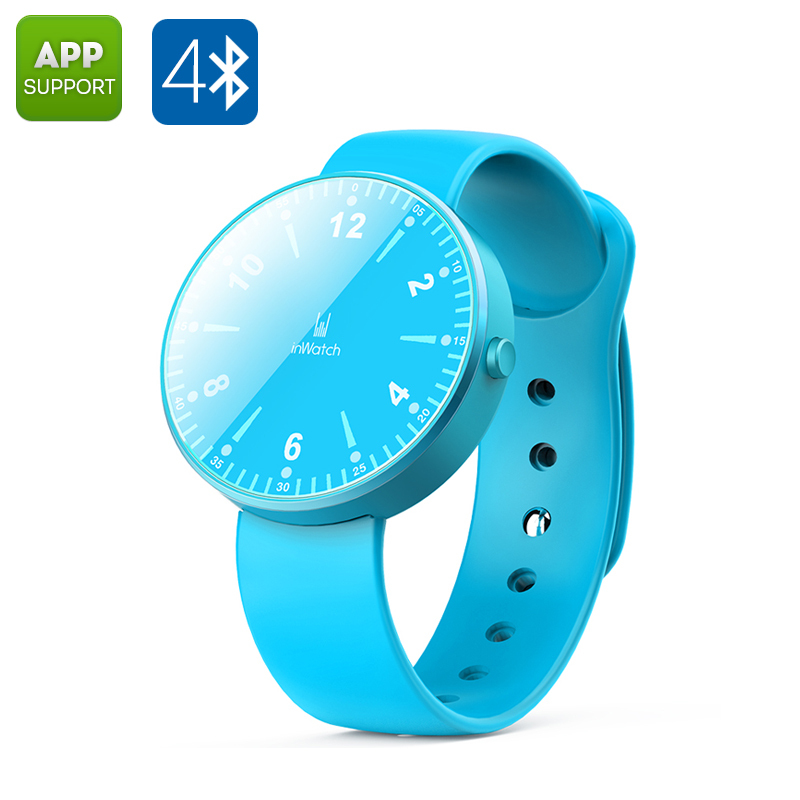 With support for Android as well as iOS devices this simple timepiece is a precious tool to keep track of all the events in your busy life and ensuring you don't overdo it in life.